This past weekend I was recuperating from flying around the world to almost every kosher wine event that I could get to. It started in Israel for the 2015 Sommelier, and then a few days later, the 2015 Tzur wine tasting, essentially the Israeli KFWE. Then I went home for two days before flying back to NYC for KFWE NYC and then to LA for the KFWE LA. So, by the time I was home for good, I was exhausted, and what I needed was some good wine and food. It turns out that I chose a bunch of Cali wines, which may have been an internal reaction to tasting so many date wines from Israel and around the world at Somm and the KFWE. In the end, one of the three I chose was also date juice – Karma is a bitter mistress! The Friday night dinner was roasted sausages and chicken, paired with a bottle of the 2012 Shirah Rose. The rose is still showing beautifully with ripe fruit and crazy mineral and pith. The other wine we enjoyed was the 2013 Landsman Zinfandel, a nice enough zinfandel with great spice and earth, but with a lithe body, holes in the mouth, and a wine that needs a day to truly open up. It is a nice enough wine but one that I was really hoping would finally bring me a California Zinfandel that rocked my world. 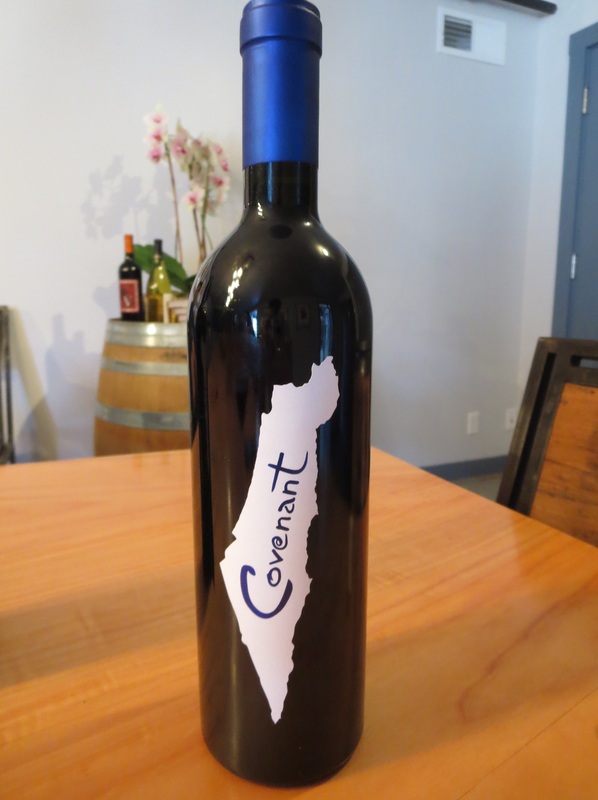 Sadly, since Hagafen Winery stopped producing Zinfandel wines, we have been missing some great wines. The good news is that there is a 2013 Dalton Zinfandel, that is blended with some Petite Sirah, Grenache, and Mourvedre. It has a nice body, great acid, crazy spices, and good fruit. I cannot wait to buy some soon. Sadly, the third wine we had that was DOA was the 2009 Herzog PS2. The wine was not corked and the cork was fine, it is simply a case of the early death of Petite Sirah. The body on that wine was crazy rich, with layers and mad tannins, but it was dead. Sad. 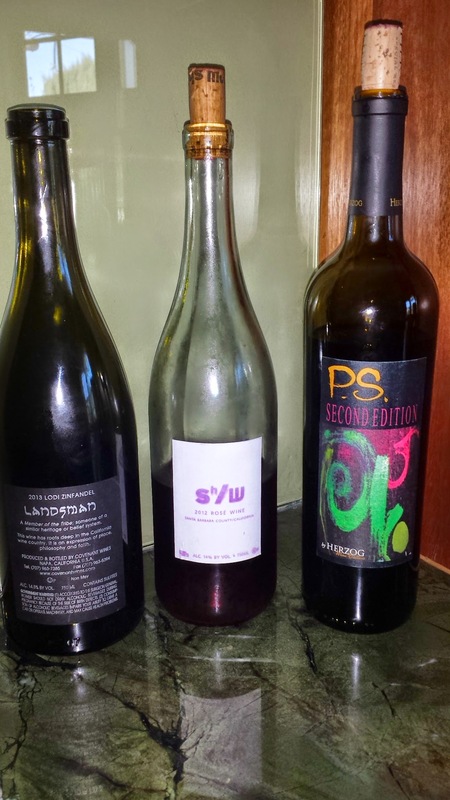 It reaffirms to me that PS can indeed be a beast of a wine, but its own life is short on its own, making it a far better blending grape than a pure varietal. Now, I love PS, and I think it – like Malbec – can be really nice, but it requires you to not wait long on them. Drink them quickly, when they are ready or even earlier, because they have the annoying habit of just dropping dead and leaving you holding the bag!!! This wine died a horrible death – sadly. It was oak and date juice when I opened it and it went to port in an hour – drink what u have!!! WOW What a rose! This wine is 100% rose of Grenache. The nose is bright and tart with crunchy roasted herb, forest floor, garrigue, red fruit, strawberry, black currant, and spice. The mouth is insane on this medium bodied wine, it starts with an attack of red currant, followed by blue fruit, tart blackcurrant, and crazy acid. 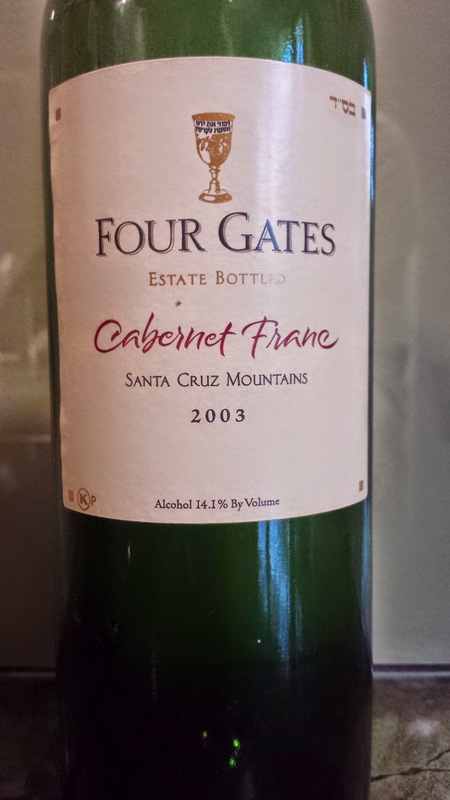 The finish is long and attacking with mad acidic tart summer fruit, kiwi, candied strawberry, intense slate, mineral, and crazy tart zinberry that lingers forever, long after the wine is gone. The acid is so intense it is awesome and the fruit is ripe and expressive – BRAVO!! !